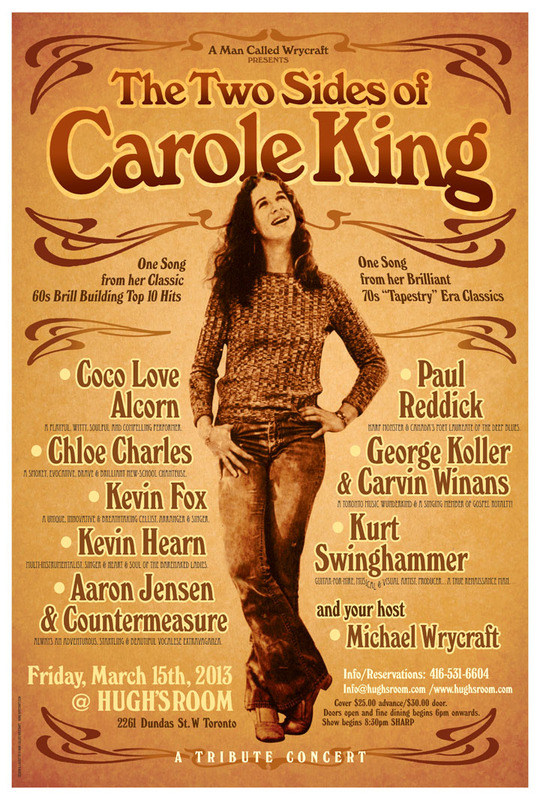 As a huge fan of Carole King, I’m looking forward to playing a couple of her great songs at this tribute cabaret at Hugh’s Room in Toronto. I’ll be performing No Easy Way Down and It’s Too Late. Advance tickets are recommended as this show will likely sell out. Friday, March 15, 8:30 SHARP. Poster by A Man Called Wrycraft.